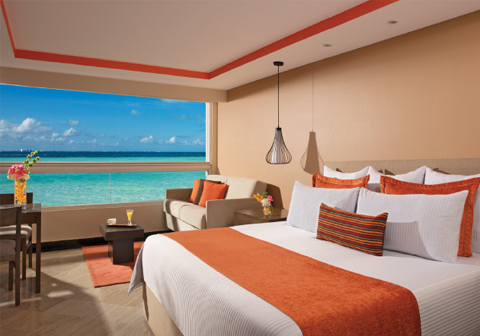 Perfectly situated along a sugar white sand beach in Cancun’s Hotel Zone is the family-friendly Dreams Sands Cancun Resort & Spa. 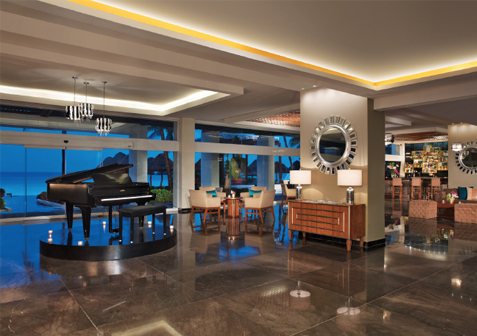 There are 438 elegantly appointed rooms & suites with breathtaking water views. 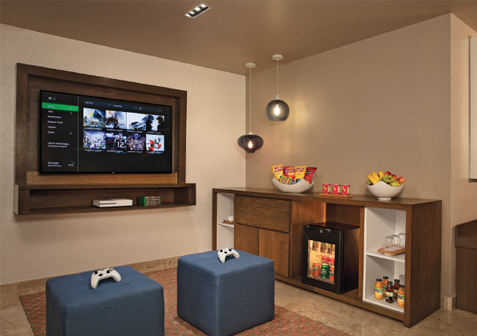 The Unlimited-Luxury® experience begins with luxury amenities, including 24-hour room service. 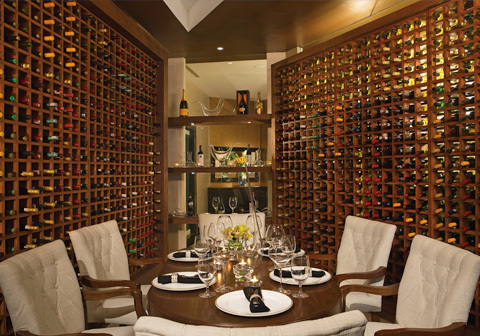 Gourmet cuisine and unlimited top-shelf spirits are served at nine dining options and five bars & lounges. 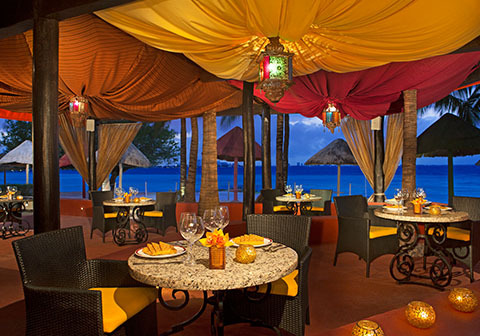 Savor dining and entertainment at nearby resorts with the Sip, Savor & See Dining Experience. Take a swim or play volleyball in the shallow ocean shelf, or partake in leisurely land activities. 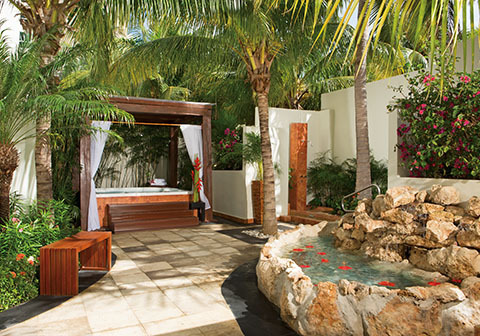 Enjoy the Dreams Spa by Pevonia® while the young ones play at the Explorer’s Club for Kids or Core Zone Teen’s Club. 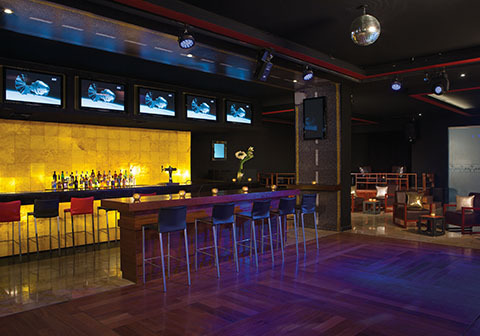 At night, exciting entertainment awaits. The Unlimited-Luxury® experience continues with complimentary Wi-Fi. 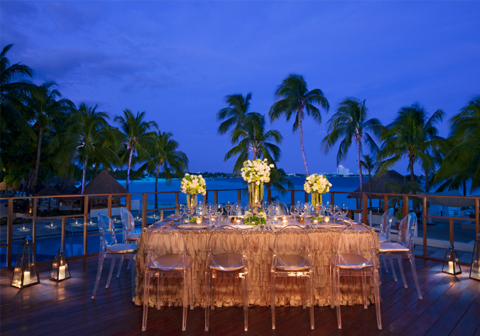 This resort is walking distance from great shopping, restaurants and bars, and a short 15 minutes away from downtown Cancun, where all of the excitement happens. 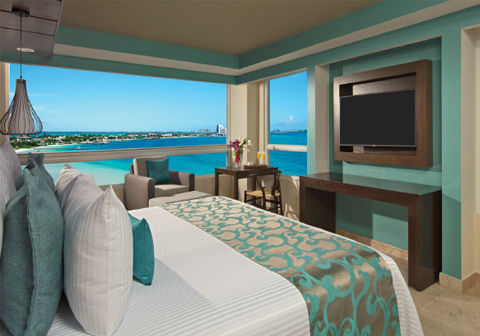 All 438 deluxe rooms are decorated with a modern style and with spectacular views of the Caribbean Sea and Isla Mujeres. 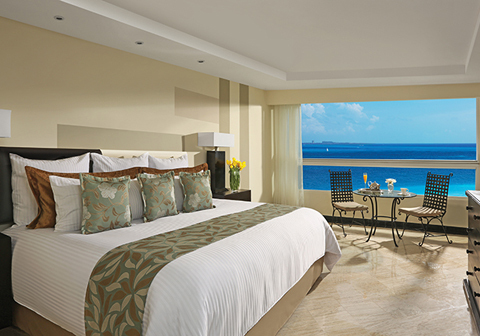 In addition to the above amenities, the Deluxe Partial Ocean View w/ Balcony room boasts contemporary Mexican décor and offers a king size bed, a spacious bathroom with a bathtub or shower, a partial ocean view and balcony. Rooms located on the 1st and 3rd floors. 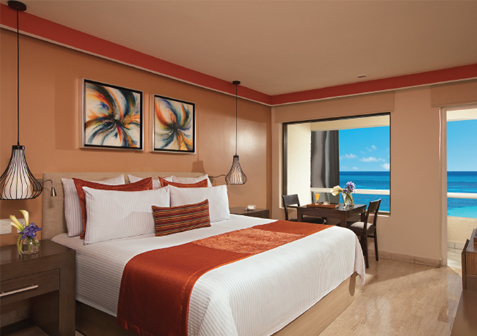 In addition to the above amenities, the Deluxe Ocean Front room boasts contemporary Mexican décor and offers a king size bed, a spacious bathroom with a bathtub or shower, ocean front views and a balcony. 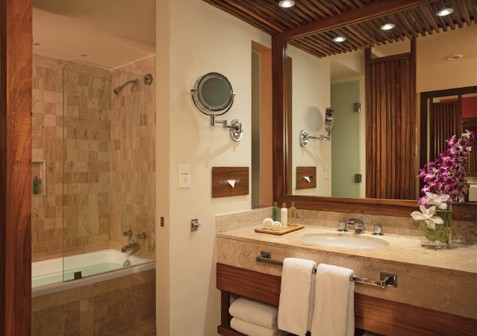 In addition to the above amenities, the Family Suite boasts contemporary Mexican décor and offers a king size and two double beds, two spacious bathrooms with a bathtub or shower and partial ocean views. *This room category consists of 2 different rooms put together, connecting one room with a king bed and one room with two double beds. Please take this into consideration for the total room count of 438. 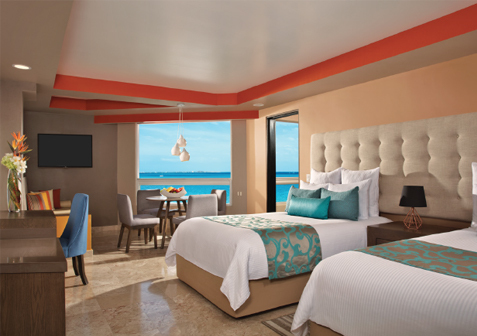 In addition to the above amenities, the Preferred Club Ocean Front room boasts contemporary Mexican décor and offers a king size bed or two double beds, a spacious bathroom with a bathtub, ocean front views with Balcony and Preferred Club privileges. 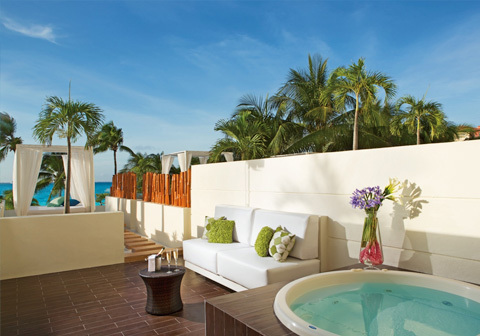 In addition to the above amenities, the Preferred Club Junior Suite boast a contemporary Mexican décor and offer a king size bed, a seating area and some of them with whirlpool or bathtub into the room with an amazing ocean view. Located at 8th floor near by the Preferred Club Lounge . In addition to the standard Preferred Club Privileges, guests who book a Preferred Club Junior Suite will receive a full Liquor Bar set up, premium coffee machine, one bottle of Moët & Chandon champagne, two 50-minute Swedish massages at the spa and special turn-down service. 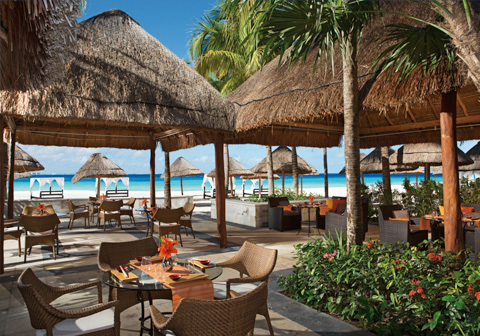 Dreams Sands Cancun Resort & Spa offers nine gourmet restaurants, including six á la carte dining options, a buffet, a grill, and a café/ice cream parlor with no reservations required. 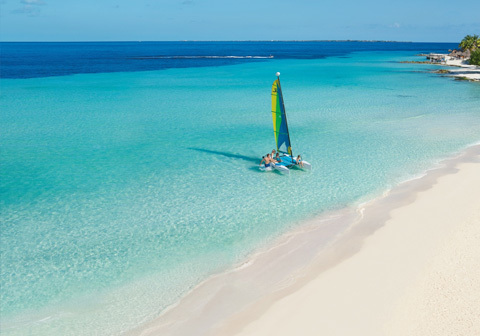 Located right in the heart of the famous Cancun Hotel Zone, overlooking the Caribbean Sea, dreams sands features 650 ft of white sandy beach, one of Cancun's most beautiful and tranquil beaches. 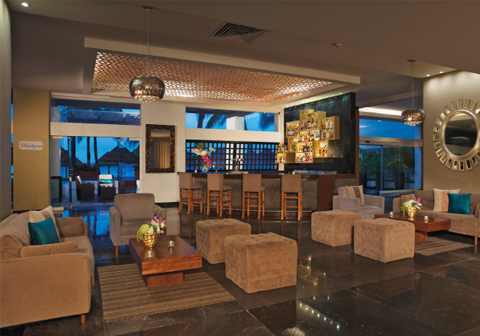 The hotel is mere steps away from great shopping, Cancun's convention center and a wide variety of restaurants, bars and Cancun's famous nightlife. The Nichupte Lagoon, located across the street from the resort, offers an abundant array of water sports activities. Dreams Sands is near the historical Mayan ruins, championship golf courses and aquatic adventures for you and your friends and family to enjoy. Plaza Caracol Mall – The nearby, renowned Plaza Caracol Mall presents guests with over 150 stores, offering souvenirs, perfumes, fine jewelry, designer clothing and more! 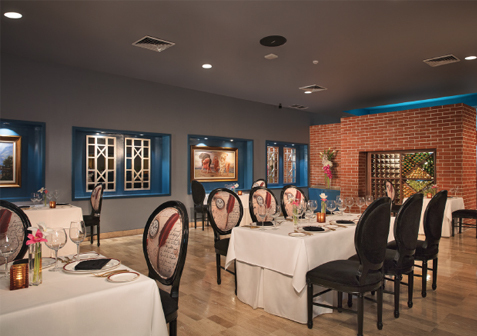 Local Restaurants and Bars – Many famous nearby restaurants, offering nightly entertainment in Cancun’s Hotel Zone such CoCo Bongo, Señor Frogs, Jimmy Buffet’s Margaretville and Hard Rock Café! Nichupte-Borjorquez Lagoon – This area offers world class fly and spin tackle fishing in the “Nichupte Lagoon”. Parque Nixuc Waterpark – Home to the Parque Nixuc Waterpark (Wet ‘n’ Wild) sure to provide a fun day trip for all ages. Isla Mujeres – Accessible by ferry or boat, this relaxing island is a great place to visit as a day trip from Cancun. Contact concierge for details. 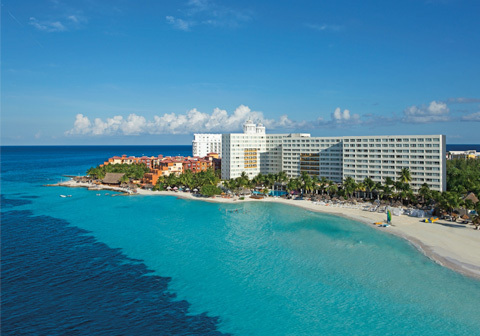 Cozumel – This island is a tourist destination for scuba diving and snorkeling. Xplor Park – This brand new adventure park located in the jungles of Riviera Maya features as zip line course, an underground river, an amphibious jeep, rafting and more. X-Caret (Eco-Archaeological Park) – Learn about the Mayan culture and enjoy several family activities at this ecological/archaeological theme park. Xel-Ha (Eco-Aquatic Park/Archaeological Site) – Enjoy this aquatic adventure through lagoons and caves while taking in the ancient Mayan culture including intact artifacts of the past. 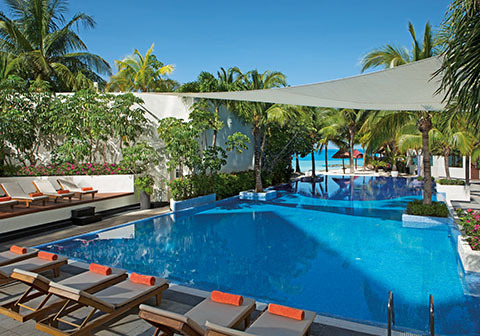 Guests of Dreams Sands Cancun Resort & Spa can enjoy one complimentary round per person, per day at Playa Mujeres Golf Club when staying now through April 30, 2019. There are additional fees that guests are responsible for at the golf course. Details & pricing can be found on the Special Offers page under “Complimentary Greens Fees” offer. Maximum number of children for 1 babysitter is 2 children. After 8pm, add an additional $15 USD for the babysitter's taxi home. Cancellation Policy: 4 hours prior or you will be charged $25 USD. Requirements: Guests must reserve babysitting services at least 24 hours in advance and fill out a form at the concierge desk in person in order to confirm their service. A minimum of 3 hours of babysitting time is required. 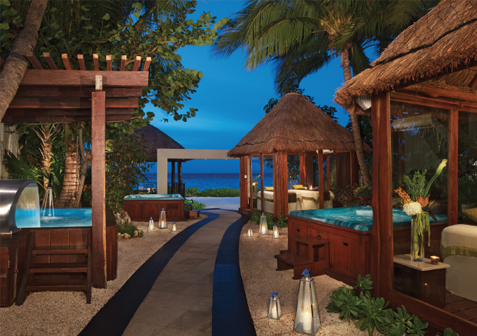 For those guests seeking a sanctuary for the senses, the Dreams Spa by Pevonia®, offers a sublime atmosphere of pure indulgence combining hydrotherapy and indigenous treatments creating a refreshing, invigorating and peaceful experience. 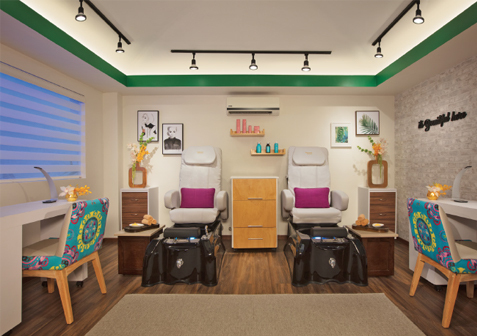 Whirlpool baths and treatment rooms, a relaxation lounge, a sauna, a steam room and private showers are available Other services include pedicures, manicures, facials and a full-service beauty salon.